Is what you get what you need? Maybe what you want is hidden in what you get. What is more important: What you want, what you get or what you need? How long will you endure to get what you say you want? In the quest for what you want, perhaps you get what you need in the process. How do you handle what you get? How do you handle what you don't get? Perhaps, inside of what we think we want is the meaning or essence of what we truly want and need. For me, that was the case: To be full in oneself, not full of one's self, but fullness of Self. To have discovered this is what I truly want, for this I am ever grateful and I hope my life continues on this path of discovery. My hope is that whatever work I do in this life, from this point on, will be of help to others: To encourage their own Self discovery and their further development of their natural gifts, whatever they may be. In this, I am thankful for the great people in my life - from my parents, grandparents, uncles, aunts siblings, friends, teachers, students, my son and my dear, dear wife, all of whom have been my spiritual teachers and messengers, in their own ways. May each person find their inner Self and live their own life in fullness, whereby all can benefit from one another as expressions of Life. If I remember correctly, when I was younger, my basic criterion for picking a horn or mouthpiece was tone. If it had a tone that I warmed to and identified with, I would try to play it, even if it was not the easiest equipment for me to play. But over the last several years, this changed. My first and foremost criterion is if the equipment is comfortable to play--meaning ease of response, range and articulation. BUT, I do still need to identify with the quality of sound. The problem is, different equipment fits different music; so, at times, I will change bells or mouthpieces to 'assist' my efforts to produce the qualities that I am seeking. The list is not really in order of importance but related keywords are "easy" and "natural," i.e., what is going to give me the least fight, so I can make the most music. If I let myself be totally absorbed in loving one type of sound, it would take too much of my energy, if the equipment was not 'cooperative' in all the other aspects of playing. I want the majority of my attention and energy to be in the 'life pulse' of the music, the spirit of the music. Tone is only one part of it. I have noticed that some equipment will 'not allow' a player to have flexibility in timbre and nuance changes. These instruments can be excellent for stability or specific styles but are often not very malleable. At this point, I need an instrument that will bend with me. But of course, this can change! On November 17th 1993, the Frequency Band® was born and made its appearance known to a group of trombone players from 10:00 PM to 2:00 AM that evening in the chorus room at Symphony Hall, Boston. What a night it was! The atmospheres and the deep affect on the people were nothing less than profound. That night might seem like a distant dream to some, but for Carol and me, it was confirmation of the extraordinary possibilities of the human connection expressing itself through art, in this case the art of music. It was total proof, to us, that the most important "A's" to tune to are Attitude, Awe and Appreciation. This was true intonation. A unity that was bound by the essence of the music, through our shared connection, based in openness, sincere intention, trust and respect. It bathed us all in its various frequencies; we were 'in it' and 'it' was 'in' us. The beauty of this great gift is that it still happens in the Frequency Band! And, of course, it can happen elsewhere too--and we hope it does, often! But, in the Frequency Band, we deliberately explore ideas and techniques to more reliably and consciously encourage this kind of connection. The Frequency Band, on one level of looking at it, is a vehicle designed for traveling into the deep regions of Art, especially those that resonate with such things as human qualities, intentions and contemplations; aspects of nature; compelling features of ancient and more recent cultures; and so on. Then, from inside a connection to these domains, play (transmit) from the mental alignment that what is transmitted is not just the musical notes, no matter how well executed, but a sense of the domain itself. Almost like a spacecraft taking pictures of stars and galaxies and transmitting the pictures back to earth. Whether one thinks this is real or imagination, to set aside ones limiting thoughts about it and openly come inside the storyline is to partake in the difference such connection can make, for art.... and humans. Because the Frequency Band is not solely about exploring the potential of mental tuning and connection within art, in and of itself. The Frequency Band is about humanity, first and foremost. The core of the Frequency Band is based in the idea of a "unity born of humanity." That is at the basis of everything we do--to try to find the unifying part in us all, regardless of all of our various differences. This, at times, can feel like a long journey into space! But, actually, it is so close (so VERY close) that we can often miss it. 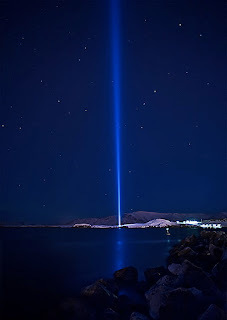 But it is there, in all of us, and the greatest treasure for us is connecting to and transmitting this most special essence into the world, to boldly and humbly go where some others too have gone before and where we all can feel and recognize the most basic, unifying tone of all. With deepest gratitude to our teachers, mentors and the many Frequency Band participants throughout the years. This is an interesting subject, so there will be all sorts of opinions on it, which is great! It promotes deepening. Let's be clear. Life as we know it cannot exist without repetition. Think about it-- your heart beat, breathing, walking, planetary rotation, eating and sleeping, the list goes on infinitely. Tempo itself is based in repetition. Repetition does work as a technique in rehearsals. But the question is, "What kind?" For example, if two people are dating, they usually don't say to others, "Sally and I have been seeing each other repetitively." It is usually called dating, which means seeing each other on a regular basis to get to know each other. So the value of repetition in rehearsing or practicing is to get to know the piece more intimately, which is building a relationship with the piece. Once a relationship with the piece is built, which of course can deepen over time, there is the possibility of interacting with its essence, and having a richer communication with it. Just because someone is doing something on a repetitive basis, whether its rehearsing or seeing another person or having been at a job for 30 years, does not automatically give rise to profound insight or result. It does give experience, but depending on what the person's motives, reasons and sentiments about life are, it can provide ever expanding perception and greater understanding or an attitude of "time to make the donuts." Also, it has not been my experience that the reason why student orchestras sound more connected at times is because of lots repetition. I think it happens in spite of all the repetition because of the enthusiasm and freshness of the attitude they bring to it. It has not become stale, it is still new. As a great mentor of mine used to say, "Its not what you do, its the reasons why you do it." Contemplation: You are what you practice. 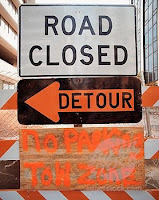 This is in reference to the comment I got to the post "Repetition-Redundant-Rut....New Route." It was an excellent comment/observation of something I'm sure many people experience! To start, let's remember that a conductor is a human being! Sometimes this is forgotten. They are trained the same basic way any instrumentalist is trained and have been or still are instrumentalists themselves. Many times a conductor has a strict schedule to maintain and the quickest way for them to rehearse is by repetition. so the orchestra 'machine' is well programed and the notes and timings are programed into the musicians. Lots of this kind of rehearsing could be diminished if the players knew the parts better before rehearsal. Let's know look at the word "rehearsal." Rehears-al or rehears(e) al(l). In other words, to listen over and over again, to be intimate with as many aspects of the score or part as possible. Now, the problem, oftentimes, is that the conductor is so preoccupied with making sure that everything is correct or note perfect that the deeper aspects can get overlooked. When this kind of relentless repetition happens it can turn into a re- HEARSE-al(l)! This is very unfortunate because what unifies a group the quickest and most effectively is a unified purpose and concept. When this vital element is at play, all aspects of ensemble (blend, pitch, intonation, dynamic contrasts, phrasing) can almost magically come together in a living way--an art that s not always put into practice. The art, the art of connecting to the essence of the music, is not taught by many people. Therefore, it is not taught to students whether they be instrumentalists, singers or conductors. It is, seemingly, more 'abstract' than whether something is out of tune or not in rhythm.--which can too readily translate to "too abstract to deal with." One of the values of repetition is comparison. If we have in use the comparison of when something is connected (closer to the essence) as opposed to just playing it well, then we have a different standard. It is a matter of how someone is educated and what they are exposed to. This is something the Frequency Band tries to offer, but if it is not applied (regularly into practice), then it will not become part of a persons skill and art. The next time you are in a rehearsal and this 'repetitive, not going anywhere' stuff is happening, ask yourself what you can do to help. Listen to your own playing and your section's playing and be connected to your feelings about the piece, regardless of what might be going on around you. I know that can be tough! But give it a try. It could, through your repeated efforts, make a difference and be contagious to others--even the conductor! I read something today by Gair Maxwell (The Seamless Brand) that I thought was really funny but also a gem of wisdom, namely: "Anything worth doing ... is worth doing badly." Now, that may seem, on the surface, to contradict what Norman and I try to promote, but not so fast. Because what he's actually encouraging is to just jump in and try something, anything, if you value what it is you're after, even if, at first, you make a mess of it; just get something moving, rather than be stopped and frozen by the fear of making mistakes or of playing a note that is less than perfect. No human can rise to that kind of perfection and those who appear to, don't, not really, not with complete reliability, if you really keep track. But the illusion, and it is an illusion, has had a strong grip for a long time and puts, I believe, a straightjacket on art--and on many who otherwise would aspire to it. Sounding more familiar now? Practicing is a musician's time to make what they have been taught their own--to build a relationship with a technique, method or piece of music. One of the essential ingredients in practicing is repetition. Where too much repetition becomes a problem is at the point of repeating something without assessing it, and finding and putting into play the necessary components to improve it. Without this kind of reflective approach, the repetition becomes redundant and soon can turn into a rut, which is not a useful kind of repetition, often referred to as "spinning your wheels." To get out of a rut, find a new route. ... cannot be measured with a ruler. ... cannot be measured by missed notes. ... cannot be measured with a tuner. ... cannot be measured with a metronome. ... cannot be measured in two dimensions. When you are really involved in the music, of any piece you are playing, there is no room for "dead notes." Dead notes are ones that are not musically connected. When, for example, a conductor says, "Get out of the way; that part is not important," the player, in my mind, needs to be careful about fostering an attitude that says, "Lay back and just stay out of the way." This is not a musical approach! A visual example of what I'm saying might be: If you are in a car or on a train trip and there, in the background, are some beautiful mountains. 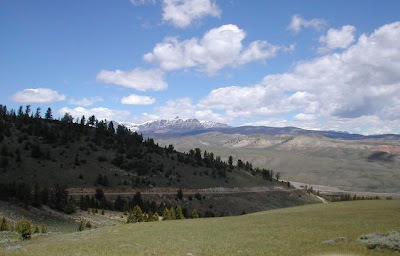 The are not part of the main road or train tracks, or even part of the close up scenery, but the mountains, in all their glory, are still a part of the scene--they are just in the distance. Imagine if someone took a grey blanket and thew it over them, or, someone Photoshopped them "out of the way." That approach ignores that the mountains are a valid, and living, part of the scene. But they are; they are still mountains, even at a distance! They are still 'ALIVE'! When there is a part in your music (let's say in an orchestral piece) that, obviously, is not the main theme, it still can be played with significance, because it is part of the living fabric of the sonic texture and musical atmosphere and environment. Can you imagine a fine chamber music group not treating each note with importance and contextual support? Whatever part you have, make sure you play it with connection to the music and be at full with it, no matter what it is. It does make a difference! When giving a master class or private lesson to people who are not your regular students, I feel it is very important to not do or say anything that might come across as disrespectful to those students' teachers and/or their work with those students. Also, I have heard many stories from students going to workshops and seminars in other countries outside their own country. This may seem farther afield, but I think the principle still applies. In this case, I still feel it is important to have a sense of respect for the other various ways and styles of playing other than one's own. For example, if I am giving a master class in a place where the teaching style and the equipment used are different to my own, I don't suggest that someone should get a new horn or say to them, "Get rid of that instrument because it is junk and the the tone is terrible!" like I have heard some people say in their master classes. There is not one way to play nor one instrument to play. This, I think, is the kind of attitude that breeds a frozen, one-dimensinal viewpoint that does not breathe or let in new light. Why can we not embrace the differences as all a part of the marvelous spectrum that life and art is? If we were all meant to be exactly the same, then why weren't we all born in the same country, all with exactly the same genetics? I also do not think it is right, in most cases, to change someone's embouchure at a summer festival if you are not, as a teacher, going to be around to see it through. It is one thing to make suggestions but to insist on a dramatic physical or style change, in a short period of time, actually could be very harmful for some people. To give some advice and offer some ideas, in the musical or playing realms, that add to the person's musical development is one thing. To degrade and insist that there is only one instrument and one way to play and/or only one interpretation of a piece of music and to attempt to impose significant changes on a student with whom you do not regularly work, is insensitive, arrogant and unrealistic--in my opinion. From "The TAC Legend Writings"
Book 1: Journey to Freedom." Master Manlon was giving a masterclass when Tersha raised her hand. Master Manlon: "Yes Tersha, do you have something to add?" Tersha: "I wanted to relate a story." Master Manlon: "Let's hear it!" Tersha: "A few weeks ago, I went to Sutherland, where there was a workshop with the famous triuna player Wilkus Tordly. Mr. Tordly was very rough on the people, saying they had terrible sounds and had no idea how to properly play the instrument. He kept asking people who they studied with and told them to change teachers and get instruments that were actually playable. I was extremely upset and was wondering what was the point of my attending such an affair. Then it hit me how lucky we are to be in the TAC, a place where the teachers realize that, first and foremost, there is a human being with a human instrument, and then there is the musical instrument as an extension of the human instrument with the power of what it is connecting to." Master Manlon: "Well, I guess you learned a lot from this workshop! It is important to realize, always, that it is not 'who' is teaching, playing speaking or acting, but 'WHAT' is doing all those things. We have said many times in the TAC that it is not 'who' wrote the music, but 'what' wrote the music. What is the nature of that life force that would want to treat people that way? Yes, Antil?" Master Manlon: "The ego can be attached to certain things that do not want others to succeed. Lots of times we see that a person who is like that was also treated like that themselves. So that painful 'virus' that they were infected with then needs to infect others so it can have continuance and grow. Learn to recognize it and and make a pact with yourself that you wish to be different to it. Always remember that when you see some undesirable feature in yourself, try to see that it is not really you but 'what' got into you. Then remember that you have the choice to not have it. That is the profound gift of will. And to activate our will, we need to realize we have choice. But do not expect all the choices you make to be received with a resounding "BRAVO!" from everybody. So, thinking, deliberately choosing and taking responsibility for your choices isn't always an easy road. When we treat music as a living thing, and ourselves, other people and other life as living things, truth, even in cases we don't necessary want to hear it either, becomes of greater importance to us than any other personal agenda. It is a beautiful life goal and process to be in the music of being all you can be, regardless of how popular it is or isn't." Excerpt from "The TAC Legend Writings"
More from "The TAC Legend Writings"
More from Master Manlon and "The TAC Legend Writings"
I realized there was no blog post in August. Life gets REALLY busy sometimes!!! There actually was a lot going on this summer. I (and the rest of the family, rabbits and parrot included) will be there half the week and in Boston the other half of the week to continue teaching at the Boston schools I am affiliated with--New England Conservatory, Boston Conservatory and Longy. That is only part of the schedule! Carol (who, as you all know, is co-director of the Frequency Band with me) and I are very busy with FB projects. As a matter of fact, we just played at the State House in Boston for the 9-11 Commemoration. All the FB participants involved did a tremendous job in support of this event under very testing conditions. It was a great honor for us to be asked to contribute to such an immensely important event. Seeing and hearing from the family members who lost loved ones on that tragic day in US and world history was something we will never forget. We are doing other work as well. The FB was asked to play at the Eastern Trombone Workshop. We will be putting on a 90 minute program with the Frequency Band and, also, I will be premiering a new work I am writing for solo trombone and band and look forward to playing this new piece with "Pershing's Own" at this ETW event in March. It will be a very packed week with a masterclass as well! Stay tuned for more details! You can learn from anyone and, actually, everything. It does depend on what you are willing and wanting to learn. Some people seem to know a lot about a lot of different things. I am not one of them! But in the areas I am interested in, I learn primarily from experience, observation and continuos effort. And I can see that what I learn in one area applies to many other areas as well. With musicians, there oftentimes is a closed-mindedness that can come into play around musical development, thinking you can only learn from someone who plays your instrument or who plays in the stlye you want to emulate. Sometimes a person thinks they can only learn from "the great ones." This, in my mind, is biased learning and, therefore, is a huge hinderance to the learning process. I can truly say I have learned something from all my students. Either mentally, emotionally, musically, ethically, socially, energetically and more. 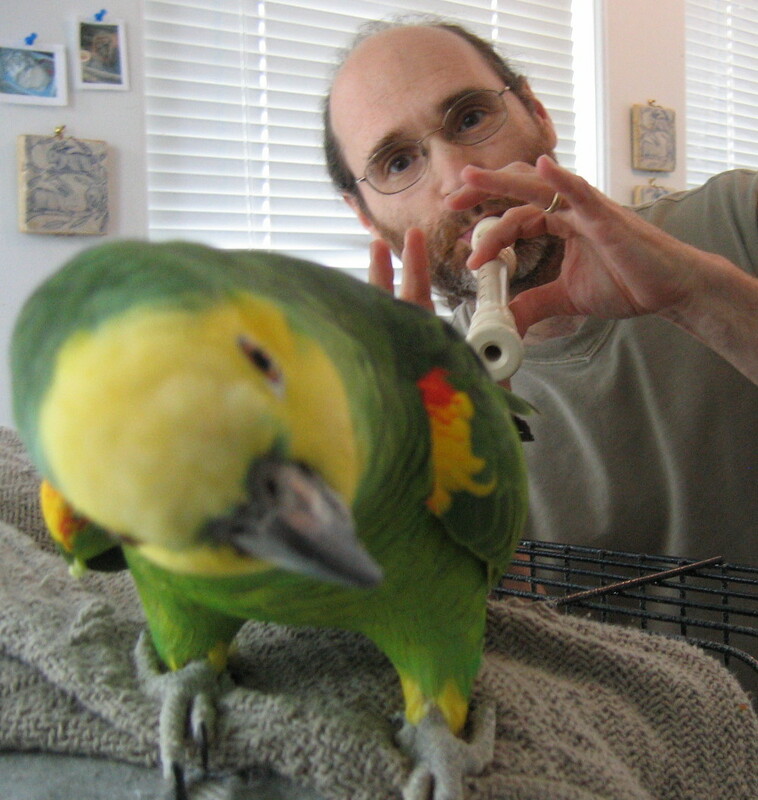 I also have learned a tremendous amount form other instrumentalists, singers, painters, dancers, poets, plumbers and everyone I can think of--including my amazing parrot! Someone who teaches has an opportunity to really interact and work with another human being and watch all sorts of different ways people develop. How can each person be taught the same way when they don't learn the same way? In my mind, it is my responsibility to try to keep the integrity of the individual intact while trying to help them in their artistic process and growth. Learn from all and your days will be very full and rich! Well, that's that. My "official" final Boston Symphony Orchestra bow at Tanglewood. Curious, because it was at Tanglewood, in fact, that I first saw and heard the BSO live, exactly 40 years ago, with my dear father. A lot has happened in between these two events. After the bows, there was a party and it was very touching to hear and feel the different sentiments from the people who are staying on about the people who are leaving, and from the "retirees" about their time spent in the orchestra. Lots of value and sentiment, with some quite unique styles in the manner in which those feelings where expressed! Doug Yeo offered me a heartfelt tribute and a collection of very special serious gifts (including amazing handwritten historical manuscripts), practical gifts (including a gas card for an upcoming adventure I'll write about soon) and some humorous gifts (including Wallace and Gromit action figures, characters we both enjoy!). It was great! Ron offered some thoughtful gifts too, including a live demonstration of one of the gifts he gave me, which Carol now calls the "Throw Bone." Ron took an old trombone he got, online or somewhere, out of its case and threw it, quite a long distance, out of the tent where we were having the party! I couldn't believe it! Here is a picture Carol took of me trying to play it after that happened. The slide wouldn't even move! Then it was Ron's turn to be honored. Inspired by Ron's passionate and extensive research into Camille Saint-Saens (his relationship with the trombone and the BSO connection within that) and including the fact that Ron is in the process of writing a book about it, I was moved to 'help' his research by 'discovering' the animal Saint-Saens forgot to include in his "Carnival of the Animals." So, I gave Ron an unusual stuffed animal and wrote a piece for solo trombone, dedicated to Ron, called " The Forgotten Animal (The One Saint-Saens Forgot)." It's quite a humorous piece and has some 'hidden' quotes in it. It calls for extensive Harmon mute techniques and I know Ron will do it up GREAT. Before I knew it, it was done. Farewell, BSO! Good luck to all the musicians and new trombone players. I was glad to have been a part of the orchestra, especially in the early years when my mentors were in it: Sherman Walt, Harold Wright, Chester Schmitz, Armando Ghitalla, Vic Firth and Charles Schlueter. What an honor! I hope the BSO musicians will not let the wrapping paper of perfection distort the actual message and communication possibilities that I was so inspired by when I heard my mentors and the section I got to play with. I want to include a special thanks to my wife, Carol, who over the past 19 years has been an incredible support and inspiration in a most profound way. I also have been fortunate to have had other family members, friends and teachers be supportive over the years. I consider myself very fortunate and am filled with gratitude. 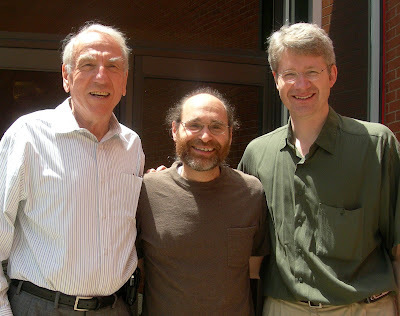 During my trip to Minnesota in February, Doug Wright and I talked about taking a picture with Ron Ricketts, the former long time second trombonist of the Minnesota Orchestra and my former teacher. Well, during this trip, it became a reality! Here's the photo! It was great to see Mr. Ricketts again and it was an honor to play in his old seat, alongside my former student, Doug Wright. It was extra fun because we played Rimsky-Korsakov's Scherazade, which has a dramatic, fanfare-type solo for the second trombone. I was thinking not only of all the times I had played and recorded this with the Boston Symphony, but also that I was playing my former teacher's solo, in his old chair, in the hall he had played it in for many years. I wonder if the person who gets my old job in the Boston Symphony will reflect on the fact that, for many years, I played the very parts he or she will be playing? Thirty four years ago today I made my 'debut' with the Boston Pops. Two weeks before this date, in 1974, Bill Shisler, who was a contractor for the Pops as well as one of the librarians, called me at my Brighton apartment. He introduced himself and said he would like to hire me to play first trombone in the Boston Pops for a couple of concerts. I said, "Great!" He then said the first concert, which would be in two weeks, has Ravel's "Bolero" on it. I said, "Great!" The next day, I went over to Symphony Hall and picked up the music. There was Brahms' "Academic Overture," an English March, finale to Tchiakovsky's Fourth Symphony, then "Bolero." Plus many other pieces followed that. Everyday until the concert date, I played through the entire concert (including counting the rests) twice. Since there was not going to be a rehearsal before the concert, I thought this was the best preparation strategy I could think of. I actually spoke about this experience on my WGBH radio interview in November, which you can hear by going to the Audio/Video page under Resources on our website. In reflecting on that day so many human years ago, I am thankful to the people who recommended me and gave me that opportunity. I was very young and they were taking a risk themselves to a degree by recommending me to go in 'cold' like that. That is what I miss, not being in the symphony or Pops being able to give others a chance. That is something I feel honorable about, having given MANY people a chance to play in the orchestra. I wanted them to be able to get an education on the job, through actual experience. I only did this if I thought they were ready but did not care if they were undergrads. If I thought they were ready, I tried to give them the opportunity. I would like to think that I give others the chance to better discover themselves through the process of developing their ART, not just trombone playing. This is the big challenge, to play your ART on the stage of life and feel and sense the resonance that comes back to you no matter what 'stage' you are on. I believe this resonance has the feedback you need to keep on growing, if you have the ears and, more importantly, the passion to take it in. I learned a lot that night on that stage, thanks to all who made it possible. If you are asking this question on a regular basis, maybe you're feeling a sense of loosing the reason you began whatever it is in the first place. Sometimes, when the challenges get tough, that question can arise. It can be very worthwhile to try to answer the question because a person can loose track of why they are doing something if it goes into automatic without any seeable results of a beneficial nature. This is the importance of love and deep desire, or a profound sense of duty to assist, provide for, change, prevent or perhaps serve a higher purpose beyond one's own likes and dislikes. The point is the reason, purpose or goal. If I am eating something that weakens my health, what is the point of doing that? But if, for someone, life seems hopeless and the person is fed up with it all, they might say, "What is the point of staying on this diet, it's all hopeless anyway." Sometimes a situation can occur when a person is sick of doing something that has lost its appeal or reason for having started it in the first place or simply that the action actually isn't needed anymore. To ask, "What is the point?" is useful in order to relook at our actions and perhaps reevaluate what we are doing so we will not waste any more time doing something that burns up a lot of energy and is either harmful or just not useful or needed. In any case, the point is to see if change is needed and, if so, to identify the need for that change. This moves things out of stuck and back into a directional momentum. But no mail or mail box. stood, laughed and warmed up. "Today the job goes to...Norman." And then I realized why I needed new ones. On our last night in Iceland, which was on the same day as the trombone choir concert, we had a 'perfect ending' to an already great day and fantastic week. We took Oddur and his wife, Stina, with their three children, Hildur, Baldvin and little Helga, out to their favorite restaurant. We had a warm, wonderful time, full of laughter and good food! In the midst of this, I was looking out the window every now and again to see when it got dark outside. The reason was because, when we had lunch earlier in the day in our hotel, our waiter said to us, "Did you see the marvelous Northern Lights last night"? Carol and I almost fell off of our chairs! We were in our room working on the living program notes for the next day's concert, and right outside our window, literally directly above our hotel, were the incredible Northern Lights! And we had no idea! Well, we couldn't believe we were in Iceland and missed them. We had heard that the best time to see them is in the winter, like February, so we did not think that we would see them in April. But, alas, there they came! And we MISSED them!! So, at the restaurant, I was thinking that maybe they would come back. Other people said they might because the weather would be cold enough and the sky was supposed to be clear. So, when the sun set, we all went outside and Oddur drove us to a spot a bit outside the city where there were no lights. And before we knew it, THERE THEY WERE!!! In all their glory!! They were more extraordinary than any photo or movie we had seen of them. What a gift! A precious natural wonder as a finale to a most wonderful week. We are filled with deep gratitude to Oddur and his family, the musicians, town's people, the country of Iceland and Mother Nature. It was all "Music As a Living Thing." From the moment we landed and made our way to Oddur's car, it was very clear we were in very different land! During the ride from the airport, we witnessed those unique characteristics of this land that made it understandable why NASA used Iceland to test equipment for the moon landing. Oddur was like a professional tour guide telling us about so much amazing history, from where the Americans set up military base that has since become housing and serving other purposes to how the rocks we were looking at were actually cooled lava. The mountains were beautiful, adorned with snow and bold features, even though they weren't incredibly high. The next day, which was our only free day, Oddur and his thirteen-year-old son, Baldvin, (who is an extremely talented trumpet player) took Carol and myself on a trip into the countryside. We saw steam naturally coming up from the ground, beautiful Icelandic horses which don't get much bigger than ponies, and the vast expanses of land, snow and ice--the tundra. Oddur also took us to the point where the North American and Eurasian tectonic plates meet (see photo). It truly was awesome to see them. They are separating at the rate of an inch and a half a year. We could not stay outside too long because it was very cold and really windy. Carol said it was a challenge to stand steady enough to take photos with the high winds but we thoroughly enjoyed being there and did get a strong sense and impression of the land. As we were driving, looking at the vast expanses of tundra and mountains, Oddur pointed out a house that was at the base of one mountain and surrounded by huge boulders, obviously from a landslide, and it was clear there was no guarantee that more rocks would not come down and crash into it. We all commented on how our own instincts probably would not find that a very comforting place to live! We also stopped by a shop that sold bread baked inside hot springs, the heat from the hot springs bakes the bread. This place also had a large greenhouse attached to it with huge tropical trees and plants. Oddur commented on how in winter, there is something warming about driving by this area (where there are a number of greenhouses) and seeing the glow of grow lights that keep this vegetation and much of the island's local vegetables growing when the lack of sunlight and cold weather make it impossible to grow food and other plants outdoors. We were so thankful that Oddur and Baldvin took us to see these Icelandic wonders on what was not our own but also Oddur's only free day. We will always remember these things and yet another wonder of nature we saw our last night in Iceland. That will be a separate post! As I said in my Iceland Trip: Arrival and Orchestra Playing post, playing in the orchestra was really interesting and enjoyable. Here's more on the orchestra experience! The Iceland Symphony Orchestra has a lot of members from Iceland in it but also has members from the US and other countries. I could hear a mixture of different trainings which, to my ear, made for a very colorful and exciting effect. Oddur Bjornsson did a wonderful job playing euphonium on "Don Quixote." 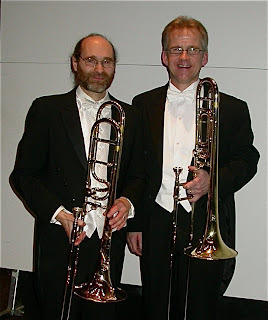 I played second trombone to Siggi Thorbergsson, who did a beautiful job on first trombone in the Strauss. The bass trombonist, David Bobroff, played very strong throughout the whole concert, as did the tubist, Tim Buzbeee. This is not meant to be a review, just my appreciation of everyone's musicianship! I played principal on the "Othello" overture and Oddur played second to me, which was a lot of fun personally and musically. The whole orchestra did a very fine job and the principal cellist did a superb job in "Don Quixote." I heard she attended school in Boston at the New England Conservatory. Her name is Helga Thorarinsdottir lagfiola. As it turned out, I had many different people come up to me who said they went to school in Boston, either at NEC or Boston University. 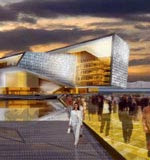 There is a new concert hall being built in Reykjavik which the musicians are really looking forward to, not only for their own performances but also because of all the other international orchestras and artists who will be coming to perform there. We saw the construction site and it looks like it will be quite a structure! Bravo to all the members of the Iceland Symphony Orchestra on a wonderful performance and for their hospitality. While in Iceland, we gave two master classes. One was for members of the Iceland Symphony Orchestra; the other was for elementary students, and in Iceland that means ages 9-16! The master class for the orchestra members was titled " Keeping Your Music Making Alive in Professional Life." This took place in the members' lounge while sitting at coffee tables. A violinist who was present came up to us and said she wished the whole orchestra could have been there. In fact, the principal violist came up to me on the following day and said, "I am so sorry I missed your presentation. Have you written books or other literature?" Carol and I think the violinist is talking about it and spreading the word! Also, we heard that some of the brass players were trying out certain techniques that were mentioned, and getting some results. Carol and I have always said that if there is one person who gets something important from our work, it is worth it. And we are very pleased there seemed to be several who did and were very appreciative of our efforts. Photo from elementary master class: "What kind of scary?" The elementary master class was fun! The students were very open to my 'experimentation' with them and there was lots of laughter in the midst of group exercises that everyone (students, teachers, parents and friends) participated in. We covered some aspects of breathing, mouthpiece practice, rhythm, and the importance of personal discovery in private practice. The class was titled "Making Practice Time Fun and Productive." The audience and the students were very appreciative and inspired and we saw many of them at the trombone choir concert a couple of days later. That will be a whole other post! It was a real joy working with the professionals and the students, because this kind of work breaks down all the superficial barriers and/or cultural differences that seem to keep us separated but which, in fact, melt away in the face of mutual respect and human warmth. We are back from an exciting and rich trip to Iceland. The trip was very much a success in the sense that we covered so much ground in a short period of time. It all started when we came off the plane and saw my former student and friend, Oddur Bjornsson, principal trombonist of the Iceland Symphony Orchestra. His warm smile and caring nature made us feel at home right away. From the moment we left the airport on our way to the city of Reykjavik, we were immersed in Iceland's amazing landscape, so different to what Carol and I are used to! We'll be posting pictures that Carol took soon to give you a flavor of some of the natural sights we experienced. Playing with the orchestra was a lot of fun. In some very basic ways, symphony orchestras are the same all over the world. People warming up, harps tuning, musicians coming in and out getting ready for the start of a rehearsal. Except for the different surroundings, it felt just like any other day at the orchestra! We played Dvorak's "Othello" overture and Strauss' "Don Quixote." It's so interesting to hear how different orchestras play, as well as hearing what is pretty similar regardless of approach. For example, blending, listening, tuning, paying attention to the conductor, all took place in Iceland, as in Boston, Minnesota or anywhere else. I know that sounds obvious, but it sheds light on our similarities rather than our differences and that can be very leveling and grounding. I really appreciated how welcome they made me feel and I really enjoyed playing with them. It was an honor, in fact, to be a part of another orchestra in a country other than my own. It shows that wherever you go, there you are.... and there they are, others like oneself. All of us on this journey called "life." It is very warming, and humbling. Carol and I are getting close to leaving on our trip to Iceland. We are very excited about seeing this land and getting to work with the musicians from the Iceland Symphony as well as many students. 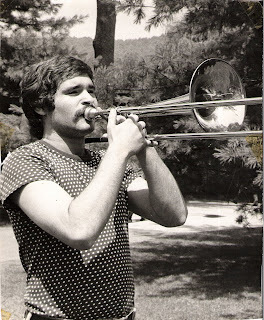 In the early 1980's, a young trombonist from Iceland, by the name of Oddur Bjornsson, took lessons from me while he was a student at the New England Conservatory. We got along extremely well in our student-teacher relationship and as friends. This past fall, Oddur and his lovely wife, Stina, were visiting Boston. Carol and I got to meet up with them and reconnect after all those years. It was wonderful to see Oddur again and to meet Stina. We've been emailing back and forth and, now, here we are going to Iceland! We will be giving a concert of trombone choir music which I've written, including a world premiere, "In All Hearts." This piece was written in honor of the country of Iceland and my firendship with Oddur. 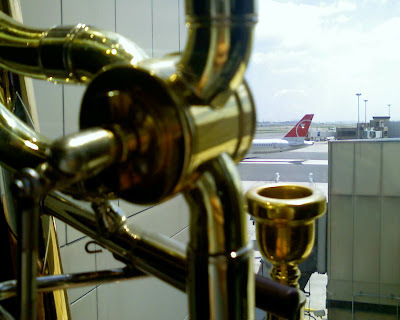 I also will be giving master classes and playing in the trombone section of the Iceland Symphony Orchestra. For a full look at our itinerary in Iceland check out the Events Calendar on our website. We will be coming back with pictures and, possibly, some sound clips, so stay tuned! Book 1: Journey to Freedom." Master Manlon was giving a masterclass with Joice and Seymore. Many different topics were being worked into including that aspect of music--dynamics, timbre, rhythm and styles--have a spectrum of expression. The same is true for emotions. This concept reminded Master Manlon about an experience he had with a student on this very subject. 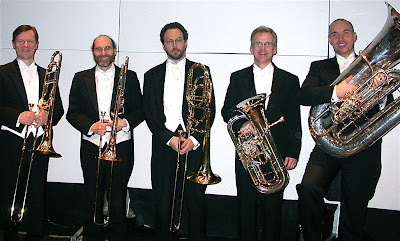 Master Manlon: "I used to play an old, popular trombone piece of the 19th century by Ferdinand David. The second movement is a funeral march. One day, a student was playing it for me and I asked him what feeling was in him when he was playing this movement. He told me he felt sad. I asked him what kind of sad? He looked at me and I looked him and we knew we were on to something big! Even throughout this movement, we discovered the quality of sad changed or was flavored with other combinations of emotions, such as grief, a hint of hope, regret, reflection of the past and anger. This gave the piece more meaning and painted a sonic picture that was truly more engaging for the performer and the listener. Everyone knows there are different kinds of the same emotion, just like there are various shades of blue, red, yellow or any other color. If we take that one natural fact and apply it to our music-making, (and everything else! ), we all will be further away from generalizing and putting life and each other into a 'one size fits all' formula and will allow ourselves to actually see and experience the greater fullness that is all round us." The upgrades to the website are done and the related links on this blog have been updated to match. So , if you click on a link in earlier posts, please refresh the page so you get the current web page or sound clip. We kept the site's familiar design but added new navigation with drop down menu, additional content pages and a new Catalogue area with search tools. Here's the Print Music page, for example. Carol has been hard at work for two months getting the features added so the site is easier to navigate and fun to explore. These changes also will allow us to more readily add new music and other content, like digital print music, MP3 singles, videos, articles, etc. So, stay tuned! A big Bravo to Carol for all her work!! And to everyone, we hope you enjoy the site! We had a really busy but nonetheless really fun week from 25th through the 28th of February. 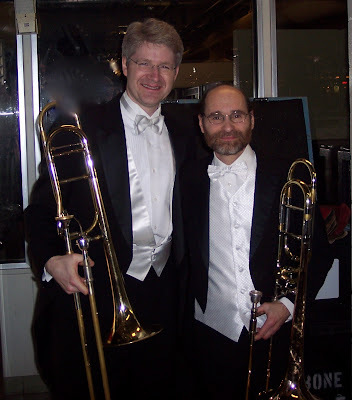 Jim Nova, my friend, former student, Associate Principal Trombone of the Utah Symphony and Principal Trombone of the Boston Pops Esplanade Orchestra, came to perform as guest soloist with the NEC Trombone Choir and the Frequency Band in concert February 27th. Since Jim has participated a great deal in the Frequency Band over the years, he also joined the ensemble in the world premiere of a new piece, "Annapurna Trail." "Annapurna Trail," for trombone choir, was inspired by an incredible picture, which I saw in an old "National Geographic" magazine, of the Annapurna Mountain range located in Nepal. Despite accompaniment by a jazz ensemble practicing upstairs, the Frequency Band stayed focused and intent and the piece went extremely well. It also was very well received by the audience. The audience loved the entire concert. And the students rose beautifully to the challenges this concert put in front of them. A big BRAVO to all! The next day, Jim gave a terrific masterclass. His class was on taking auditions and he held a mock audition filled with loads of advice based on his own life experiences auditioning. The class was very well received, with the students warming to Jim's open and friendly as well as honest and creative approach. Here is a sound clip of "Annapurna Trail" from about a minute into the piece, taken on a digital camera. For your interest, enjoyment and curiosity. *Although Jim has recorded "Samkin Aylward" with us, it hasn't been released yet. ("The White Company Quartet" will be among the first recorded pieces we release this year.) However, Jim and I have recorded a duet also inspired by "Samkin," called "The Archer." Here's a sound clip from "The Archer" on the "Occurrences" CD for your enjoyment. Can you be who you are now? Physically, mentally and emotionally? Can you feel free to be you to you? Are you trying to be different to who and what you are? Can you accept what that is? Can you make the changes to accept who and what you are now? Even if it is different to what you think you should be? How can one be at full, if one will not accept oneself and ones abilities? How can one grow, if they don't start at their current position and location? What if you are different to those around you? What if you are different to who you think you are? Be brave to find out who you are. Who will if you don't? There are some new upgrades on the website and they will be launched soon. That may mean that some of the links on this blog might not work until we coordinate everything. So if this happens to you, you will know why! If this happens on a sound clip, you can always go to iTunes and listen there. This past Thursday, January 17th, was my birthday. But when I got up that morning, I had no idea what I was going to find. As I've mentioned in a previous post, my wife and partner, Carol, has been going wild with Garage Band, putting new great sound clips on our website. But what I did not know was that she actually also was planning to release, as our first digital down load, "Long Live Symphony Hall" to honor my birthday! I was totally surprised and absolutely delighted! It is, thanks to Carol, our first release of recorded music since 2002. We have so much music waiting to be released. And now, we have a little more time to have it actually happen. But, Carol NEVER ceases to amaze me with her ongoing dedication to find new ways to transmit the signal of what music, art and life means to us, so others, who may be interested in this approach, can have a better chance of knowing about it. Carol told me the story about all the different people she had to get in touch with to help with the various components, so it could actually be ready by my birthday, because it didn't just take posting the music. She listed the 'cast of thousands' with a twinkle in her eye and a smile but I know she was up till midnight the night before my birthday and made it all happen just in time. PHEW!, is what I feel just thinking about it. I am very touched when people go through so much for others. In this case, I am the other, and am blown away by it! This piece, "Long Live Symphony Hall," was the last piece we performed on our concert in April 2001 in Jordan Hall with the Frequency Band. This concert was the finale to an intensive first time ever, week long, international Frequency Band retreat. We had people come in from Denmark, Holland, France and New Zealand, plus people from other states and, of course, many from New England. It was a powerful week, filled with self discovery that, in many ways, stretched the limit of everyones preconceived ways of going on. The recording that Carol and the team has made available is very potent and uplifting, with a majestic strength and accessibility. It was the only piece written for Boston Symphony Hall's centennial celebration. For those interested, I highly recommend this for your upliftment and enjoyment. It is a wonderful way to hear the Frequency Band in action, and what we mean by "music as a living thing"! What a fantastic birthday present. My love to all who made it possible, with an extra dose to my extraordinary wife. To vibrato or not to vibrato, is that the question? If you ask 50 different brass players about vibrato, I'm sure you will get as many different answers about when vibrato should and should not be used, as well as what kind is acceptable as well as what is the "correct" way to produce it. I developed a natural diaphragm vibrato at age 12. I remember hearing string players with vibrato and loved it. My teacher at the time was Ronald Ricketts and when he heard it, he thought I would have more control over jaw vibrato, because he heard that it can be hard to shut off diaphragm vibrato. He also wanted me to use the kind of vibrato he himself, and a majority of brass players, used. (He had a beautiful vibrato.) At that point, I learned jaw vibrato and, in a short period of time, it felt very natural and was an integrated part of my lyrical and expressive aspects. When I studied with Steven Zellmer, I asked him about vibrato and he thought it should not be technically contrived. He believed it naturally would emerge out of the player as an expression of certain music. So he never talked about the mechanics around the production of vibrato. He did say that vibrato, at certain times, tended to cover up the purity of the trombone sound. I've also heard woodwind players speak of diaphragm and throat vibratos, often in terms of the right way and the wrong way. I can tell you, from my experience, that I have heard wonderful vibratos made in a variety of ways whether it was produced by the throat, jaw, diaphragm or other. Many European players that I know do not use vibrato. Many soloist do, no matter what part of the world they are from. So the question arises: "Is there a time and a place for vibrato?" My response is, it is all in the interpretation and inner feeling life of the musician, regardless of the different schools of playing that can have their rules about what constitutes proper vibrato etiquette. Since I have played in a variety of musical formats, orchestral, chamber music and solo, all covering a broad range of musical styles, including Renaissance, Baroque, Classical and Romantic and right through Big Band, Pops and Contemporary, I have used vibrato at some point, to varying degrees, for them all. Was that right? It was for me. Did everyone like it? Probably not. Is that my criteria? No. At this point, I use six different kinds of vibrato based on what I feel will get me closer to what I am musically seeking. Those kinds are: jaw, throat, diaphragm, slide, 'U' syllabic oscillation, and when using a plunger or a Harmon mute (the 'wa,wa' effect). Of course, within each one of those kinds, there is a spectrum of naunce that is possible, ranging in intensity and subtlety. If someone says to you to NEVER use vibrato in the orchestra, I hope you will realize that you are the one with the choice, unless, of course, the conductor or your section leader has another idea! Obviously, it is wise to blend in and go with the flow in certain ensemble situations, yet you can still have your own views based upon your ongoing discovery of art and its expression. There are many ways that something can sound expressive. Just because someone uses vibrato doesn't mean they are expressing very much. Sometimes vibrato can be used like whipped cream to cover up a dry cake instead of as an enhancement and compliment to the quality of experience. In the end, you can't please everyone, and that, in my view, should never be the government in your music making. Find your ways to build a relationship with the music and it will reveal to you what it wants through your own way and style. 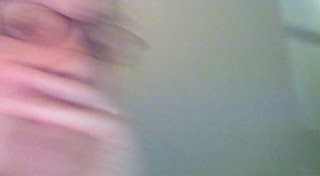 Carol, my wonderful wife and partner, has gone wild with Garage Band and has put some new sound clips on our website. She wanted to post sound clips that would actually give an experience of the essence of the music. Something that could be felt at a greater depth whether somebody bought any music or not. She wanted people to have the experience of possibly being touched by what it is we are trying to do, the humanity of it. And guess what? She did it! It's "a work in progress," she says, but she's redone most of "Occurrences" and "In Living Continuance." I listened to them and felt the potency of the music in those bits. But it seemed timeless. Music can be so transforming in a short period of time if one is open and will allow themselves to receive it. I encourage those interested to check it out. I want to tell one story about one of the clips, "The Blue of Neptune." This piece was inspired by an amazing picture of Neptune's deep, rich blue cloud cover. I was so absorbed in that color, that I started feeling the music form inside me quite soon after looking at the picture. One day, a former student of mine named Joe Branco, who played bass trombone, was having a lesson with me. We started working on "The Blue of Neptune" in a connective manner by really letting ourselves feel the deep blue and sensing the planet as best as we could. As we kept playing the piece and getting more immersed in it, we started to get inside a very different state of mind. We did not realize how different we felt until we left the practice room and went outside. We felt as though we were functioning at a totally different speed and mental reactivity to what was around us. We felt really good but odd, until we both looked at each other and realized we had just 'taken a trip' to Neptune and had not yet fully come back to Earth! When the expression is used, "out of the box," the question arises in me, "What box?" or "What is the box?" The simple answer is: The box is a usual or habitual or standard 'fill it up with regular' way of going on. It is, no matter what the subject matter might be, a common and accepted way of doing something. When looking at the arts, for example, it appears that there are many boxes, the reason being there are so many kinds of art. Even in one branch, there are many different schools and methods of training, not to mention numerous ways of approach! If no one went beyond the accepted style of the times, nothing would change. Change is a part of life on both a small and a grand scale, but it is interesting to see how hard it is to change something in ourselves or in a society even if that something is harmful. We get used to things and become comfortable with our familiar ways and that brings a certain security. This is why I believe it can be very difficult to change something in ourselves unless we have some compelling reason to change. If someone is interested in change for the reason of personal growth, it is best done slowly and under the guidance of someone who has proven to be knowledgeable in that area, someone with a track record of success working with other people. When entering unchartered waters, it is comforting to know you are in good hands. Even pioneering types look for guidance in one way or another. For me, music is a living thing. And what makes it alive is my need to use music as a medium to transfer various aspects of life and what it means to me. But more importantly, I want to be an instrument myself for the parts of life that find me a suitable instrument to work through. That's because I believe the human has huge potential and each person has the ability to affect the whole of life no matter how small it might seem. The question is, "How do we want to affect it?" For me, I wish to be a musical conduit for that which is more enhancing and elevating in life. And that can take many forms such as healing, inspiration, encouragement, beauty, humor, reverence, awe, appreciation, honor and much more. In order to be in a state of synchrony with those areas that I wish to flow through me, I have to be closer to where they live, and that is a journey of personal growth. But it is worth the work and effort because I have to be truthful with myself and feel what is out of tune in me that could prevent those more elevated qualities from passing through my music. I have to be willing to get out of my box, to change an attitude or habit, which takes work and time. Not always easy, but then again, if I want to grow, it is easier to deal with the rough times if I know why I am doing it and believe in it. I believe we were made to always grow, deepen and enrich our lives. So in that light, I am willing to break out of one box after another, for the sake of being in tune with the bigger picture, which is infinite in its dimensions and possibilities! "One more time, Oscar, and keep the slide charged to the very end of the vein stem," Mr. E. Lewiston said. "Now, lower the bell and keep the intensity of the 'U' syllable." Oscar was following the directions his 7th degree mentor was giving him, but his mind was also focused on the 'Olanim' chant. He did not want any frustration or anxiety to move through him and activate the 'AIM' device. "You seem a bit slow, Oscar. I can adjust your sensor-helmet if you think this would help," said Mr. E. Lewiston. "No thank you," replied Oscar. "I think it is just getting used to being back on top of a heavy workload." "I'm sure it is," agreed Mr. E. Lewiston. "But we have no time to relax. We are preparing to go to the ISTP competition this year. That means it is only four and a half months from now! All competitors--I signed you up to participate by the way--need to cut their sleep to only two hours a night and increase their dietary supplements to four times daily with extra EMF stimulation engagements." "With all do respect, my mentor, that is impossible with my current workload at the Academy. On top of all my studies and practicing, I have maintenance work at the Hall of Events and working three times a week at IDAL," said Oscar with concern in his voice timbre. " I can't do all that, I'm not sure who could." Mr. E. Lewiston looked at Oscar. "I know you are under a lot of pressure. Maybe I can talk to director Kline about cutting down your workload." "That would be much appreciated sir," said Oscar. "However," continued Mr. E. Lewiston, "that time would be filled with extra rehearsals and practice tests working towards the ISTP competition." It's been great to receive some responses from folks who are interested in this unique concert experience of playing alone with others. I am also very interested in this as well! It is very warming to think of sending supportive acoustics from anywhere in the world to anyplace in the world. This is something that Carol and I have done for years in the Frequency Band, but not in this exact way. For others of you who are interested in this performance together, let me know. I will keep you all posted as more develops. Happy, soulful music making to you all! Truth or Agenda? From "The TAC Legend Writings"